If you use contacts there are some guidelines that should be followed when it comes to applying makeup. Here are a few basic tips on how to be sure your eyes remain beautiful and safe. First of all, eye care professionals recommend you buy only cosmetics that are free of oils and fragrances. Additionally, to prevent peeling or smudging, which could end up irritating your contacts, purchase waterproof mascara and eye liner pencils. Lastly it's important to replace cosmetics used for your eyes frequently – ideally mascara monthly, eyeliner every 3 months and shadows after half a year. Always make sure to wash your hands before applying your lenses. Put on eye shadow, liner and mascara gently so you won't touch your contacts. Don't apply mascara or eye liner to the inside lid and start mascara from the middle of the lashes rather than the bottom near the lid. Never use someone else’s makeup or apply if your eyes are swollen or infected. In addition to removing cosmetics daily try to be proactive and opt for glasses when you know you will be in contact with chemicals such as those used for dying hair or in a beauty salon. Being careful when applying makeup when wearing contact lenses can prevent red, swollen or inflamed eyes as well as damage to the contacts. If your eyes are red or infected avoid wearing any cosmetics around the eyes. 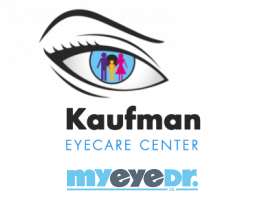 Don't hesitate to call your eye care practitioner if you have any redness, discomfort, or itchiness. Our Boynton Beach, FL eye doctor can help you with any contact lens problems that you may be having.